How cute is that! 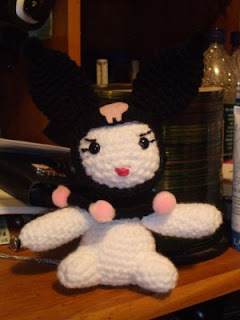 Dawn from Idaho (Kismet) finished her Kuromi doll and what a great job she did! I love to see everyones completed work. She is currently working on the My Melody and as soon as she is done with that I will post that as well. Great job Dawn!